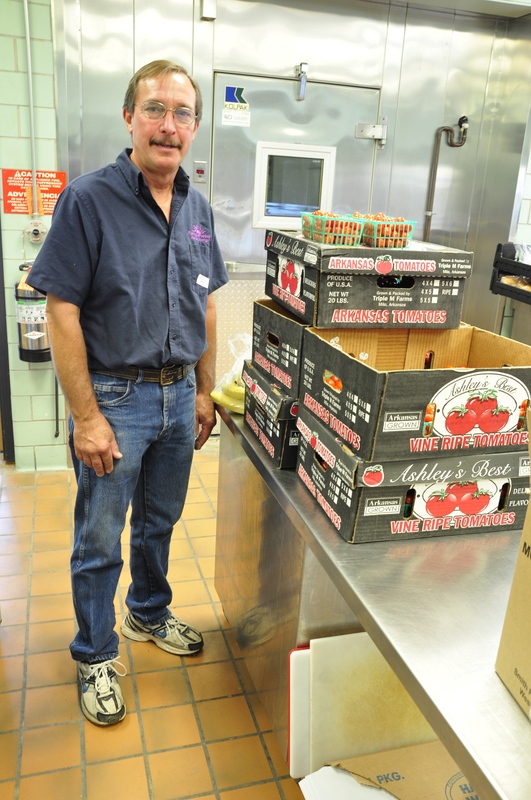 Throughout September 2014, we partnered with Dexter Food and Nutrition to source 60 pints of cherry tomatoes from Ruhlig’s Produce in Dexter, MI for use on the salad bars in all 6 Dexter schools! Cherry and grape tomatoes from Ruhlig’s Produce in the Creekside kitchen! The tomatoes represent a partnership that came full circle from school to farm and back to school! 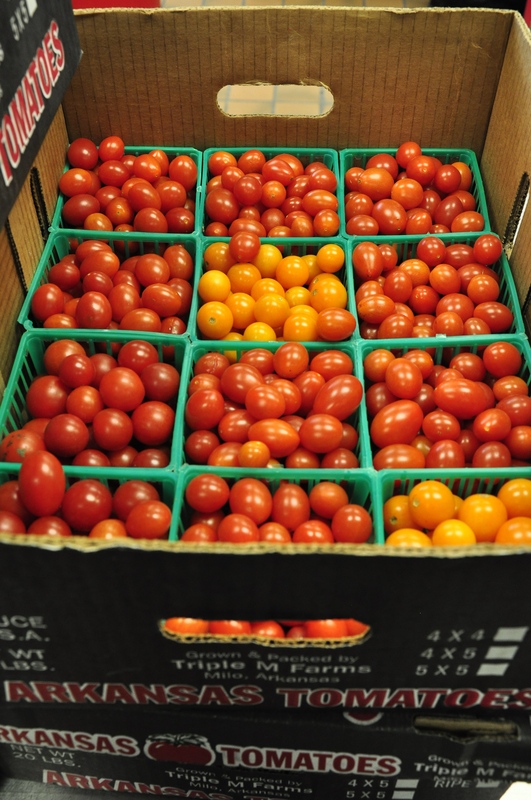 Last spring, students at Creekside Intermediate school started tomato seedlings for their annual Plant Sale Fundraiser, and when they had extra cherry tomato seedlings after the sale, they donated the plants to Ruhlig’s Produce. The farmers at Ruhlig’s planted and cared for these student-grown seedlings over the summer and this September those same tomato plants produced fruits that came into the school cafeterias! The farmer, Marty Ruhlig, delivering the cherry tomatoes. Some of the salad bars they were served on are new, and students are still getting used to the expanded fruit and vegetable offerings, which included summer squash coins, butternut squash, edamame, and broccoli on the days the tomatoes were served. Cherry tomatoes are a regular item served on the salad bars, but these tomatoes were something special, and some students tried them specifically because these ones were locally grown. This student went back for seconds! When told that the cherry tomatoes were special, some students went back to the salad bar to try them. Staff in some schools helped promote the tomatoes by putting up flyers. Cherry Tomatoes on the salad bar at Cornerstone. We hope that this represents the beginning of a longer partnership with Ruhlig’s Produce!